← These Wedding Party Songs Are a Great Choice! 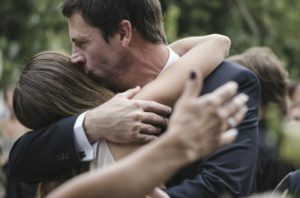 Your father is amazingly happy for you and for the Detroit wedding ahead of you – but that doesn’t mean he isn’t a little bit sad seeing his little girl leave home. Of course, he knows you’re in good hands and he knows your future husband will make you happy – but, as they say, you’ll always be your daddy’s little princess. Why not dedicate a special moment for this ultra-special man who raised you and taught you to be the amazing person you are today? Following, we have gathered some of the most beautiful songs you could choose for your Father/Daughter dance – so read on if you are looking for inspiration. •	Natalie Grant, I’ll Always Be Your Baby. This song is not only beautifully executed, but it has such a beautiful and emotional message that you should definitely expect your father to shed a couple of tears (which he will try to hide, of course). Pick this song if you want your Father/Daughter moment to be really emotional! •	James Taylor, You’ve Got a Friend. You may be leaving home, but your father will always be there for you. He will always be there to give you honest advice and to be your solid support. He will always love you. And he will always be your true, dedicated friend. That’s what this song is all about – and that’s precisely why it’s so suitable for a Father/Daughter dance. •	Chuck Wicks, Stealing Cinderella. It is not often that you hear such an honest and beautiful song from the perspective of a groom talking to his father-in-law. It’s a really amazing song – perfect to play when you want to show your father that your future husband really respects him and everything he’s ever done for you to become the woman you are today. •	Stevie Wonder, Isn’t She Lovely. We bet your father will shed a few tears when he sees you dressed as a bride for the first time! This song is really beautiful in so many ways, and it works so well when “told” from the perspective of a father that it’s guaranteed to make everyone at your wedding feel really, really emotional! Looking for a very talented and experienced wedding DJ in the Metro Detroit area? Contact Daryl Scott at Memory Maker DJs and learn everything you need to know about our wedding DJ services. Book us and we will never disappoint you!